Mr. M. R. Shastri, Principal Consultant Concept Business Excellence Pvt. Ltd. It is no more a revelation now that management concepts are well entwined in our ancient literature, mainly Ramayana and Gita (part of Mahabharat). It is a routine nowadays that management consultants and practitioners are profusely quoting from these epics while applying management concepts to meet real challenges of manufacturing and service sectors .That, these epics are relevant even today despite continuous innovations in management theories and practices, speaks volumes of eternity of Indian spiritual wealth. 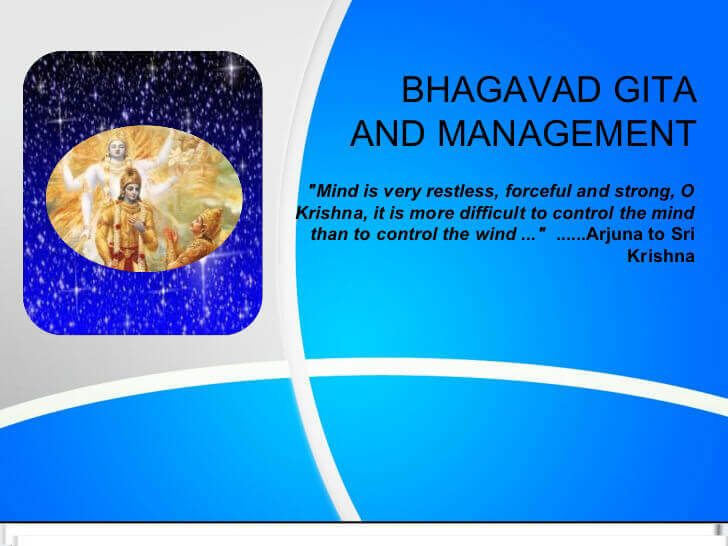 We shall see few examples of Gita chapter titles’ relationship to management theories. It is typical modern manager’s dilemma to select to do what is right against what is pleasing to all. Leaders and managers sacrifice health of an organization by trying to please all stakeholders. They exhibit cowardice in practicing what they know is good for the organization by succumbing to emotional pressures. Problem has to be looked, felt, listened (GEMBA). Arjun requests Shri Krishna to bring his war- chariot in the middle of Kurukshetra. Beginning and end are natural phenomena. Nothing is permanent. All resources including manpower are transient. Managers have to think of permanency only of mission (soul) of an organization. They have to be intellectually balanced (sthitpragna) in all their actions, behaviors, and attitudes. They have to be emotionally detached while taking all decisions. They have to exhibit equanimity in all situations – not perturbed in difficulties, not overjoyed in happiness. They have to live in the present (vartaman), without repenting about the past (gato – bhoot) and worrying about the future (bhavishya). They are responsible, authorized and accountable to take actions but have no right to demand specific outcome of the same. Managers have to excel (kaushalam) in whatever duty is assigned to them. That is Yoga in spiritual parlance. Managers are duty bound to continuously take all actions. All actions have to obviously for the good of the majority without any considerations of personal gains and have to be taken keeping Almighty as the sole decider. They have to be acting only as witnesses of activities and outcomes. Team work (parsparam bhavyantah) will only yield excellent (param shrey) result. One must concentrate on own core competencies (swadharm) and other activities can be outsourced (par dharma). Managers and leaders have to be role models (shreshtha) since followers are routinely watching and will follow them. They establish a standard (pramanam), a code of conduct for others to follow. Managers and leaders have to intervene whenever and wherever injustice is seen. Tolerating injustice on oneself is as sinful as inflicting injustice on others. These chapters also talk about continuous improvement (kaizen). Leaders/ managers have to be always learning to do their Karma more efficiently/ effectively. For acquiring knowledge, one has to be humble (pranipat), inquisitive (pariprashna) and serving (seva). Knowledge is sacred, but powerful only when applied at the right time and right place. Self control is an essential characteristic of a leader. He must be good, honest and sincere and he must appear also good, honest and sincere. In his eating, speaking, sleeping, working, he must exhibit moderation (yukta ahaar, vihar). Focusing on the task at hand (dhyan, meditation) without mind wavering here and there brings immediate results. Any task taken in hand with noble purpose (kalyan krut) never meets with failure (durgati). Opposite of these characteristics is Evil (asuri) nature. All these are applicable also as excellent management philosophy. Knowledge (gnan) is power, hence managers must continuously acquire new skills and new competencies. Tools and Techniques (vignan) to obtain this knowledge must be known and managers must train and retrain themselves. Earth, Water, Air, Fire and Space (Environment – Panch mahabhoot) have not to be polluted by any of the worldly activities. Body (sharir), Mind (mana) and Intelligence (buddhi) has to work in harmony to achieve noble results. Challenges and problems have to be met with long term (Raj marg) solutions by eliminating root causes, not resorting to short cuts. There has to be complete faith in mission of an organization. Wavering, doubting mind (sanshayatma) leads you nowhere and results in failure. Profits are byproducts of missionary objective of serving the society with your products and services. Profits are to be shared with society for its upliftment (CSR- corporate social responsibility). Manifestation of good is everywhere. Managers must catch employees doing something good, not trying to catch them doing something wrong. Human being has unlimited potential of creativity and innovation and has no intention of wrongdoing. Excellence in everything you do is manifestation of God. Kaizens and Innovations taking you to benchmarking exercise lead you to the top of the ladder. Best practices in all operations make you the best in class (vibhooti). One must regularly witness and exhibit these world class processes and continuously improve and innovate them. Case study presentations in national and international forums/ competitions are means to expose and learn from all synergic exercise. Theory (concept) and practice (implementation) both are complementary. It is better to develop concept (Nirakar) through showing implementation (Saakar) of the same. It is similar to case study presentations to explain various TQM concepts. On the spot (Gemba) demonstration of any concept leaves a lasting memory on viewers and therefore a powerful training method. A blind, unquestioning faith (Bhakti) in any theory is only possible to the highly enlightened. For the rest, practical examples citing tangible benefits will only bring convictions. A true believer of any concept will have equanimity of character showing balance of mind in any situations – favorable or adverse. Mission, Vision Policy - these are philosophical statements (Atma) of any organization. 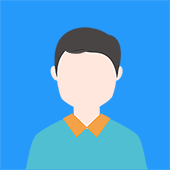 Everything else (Body) – Objectives, Systems, Procedures, Products, Processes, Machines, Resources, technologies are transient and continually changing. Management has to clearly understand the difference between these two and have to attach relative importance to them. Atma has to take priority over body and cannot be undermined by resorting to shortcuts. Enlightenment (Prakash – Satva), unending activity (Pravruti – Rajas) and total inactivity (Moha-Tamas) are three characteristics of any organization. Obviously, activities need to be streamlined so that only Value adding activities are carried out and Non value adding activities (Muda) are weeded out. Waste reduction, Six sigma processes, Kanban, Value stream mapping and 5 ‘S’ (Work place management) are aimed at attaining this objective. By controlling Rajas and by totally suppressing Tamas, one can attain Satva – World class organization. 3 types of various elements are defined. Similar situation is evident in corporate world. Dark: That acquired by evil means, bribery, threats, anti social activities. Illegal trades-narcotics, smuggling etc. Dark: Long preserved, non veg very spicy, intoxicating, alcoholic drinks etc. Dark: That is given with insult to the recipient, without any sense of need and time of giving. Finally, Gita also makes clear distinction among responsibility, authority and accountability. Even when management outsources certain business processes, responsibility and accountability remain within the organization. Consultants, advisers and contractors are only supporters. Management has to face the consequences of all activities – internal or outsourced. When there are enlightened (yogeswar) leaders/managers and where there are dedicated, sincere and focused (dhanurdhar) employees, there is bound to be abundance of wealth, high morale and victory for all.